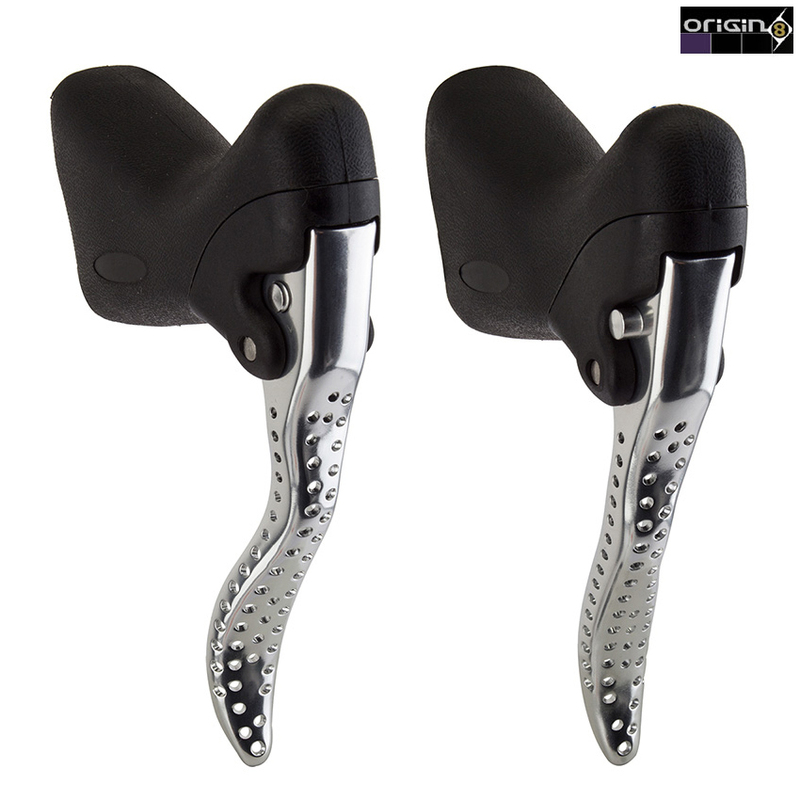 Origin8 Classique Sport Road Levers provide you modern technology with a classic look. Lightweight aluminum / composite design with an ergonomic lever for comfort. The Classique Sport Road Levers are compatible with caliper or cantilever brakes and feature a brake release for great ease of wheel removal. I've been using these for a couple of months now in both the rain and shine. I really like them. The drilled holes actually add some grip in the wet whilst the wide flange at the bottom of the lever is a subtle but significant improvement. I highly recommend them. These brake levers are aero style. Do you sell replacement hoods for these levers?